Our strawbale garden last year, just one style of no-till gardening. It was extremely productive! Despite the fact that humanity has been growing food throughout most of its history by using tillage agricultural techniques, tilling the soil is not necessarily the most productive way to produce food. When one looks at a natural ecosystem such as a forest, or even a prairie, there is plenty of natural abundance. In such a natural ecosystem, no tilling occurs. Plants can and do grow well without having the soil tilled. To understand why, let’s look at the structure of the soil itself. Soil is more than bare “dirt.” In its natural state, it is a complex web of life, and contains many different organisms, including insects, fungi, bacteria, and many other organisms, many of which are too small to be seen by the human eye. These organisms do many things, including recycle nutrients, maintain the fertility of the soil, and make soil nutrients available to plants. Since most of these tiny organisms live within the top 5 cm of the soil, when we till or plough, many of these microorganisms are killed. Many of them are also sensitive to light and can’t survive when the tilled soil is exposed. Untilled natural soil has structure, a physical network through which water, air, and plant roots can pass through. When we till the soil, this natural soil structure is destroyed, and we must create an artificial soil structure every single year, called tilth. When the natural structure and fertility of the soil is destroyed, we then are committed to an endless yearly cycle of adding nutrients and fertility back, and we have to endure more work to maintain the soil. Bare earth opens up many opportunities for weeds to grow, and it does not retain moisture very well. When we till the soil, we are also increasing the opportunity for soil erosion to occur. The majority of these issues can be eliminated, or at least significantly reduced, if we switch our gardening methods from one of tillage to one of mulching and the use of organic matter and compost. Ideally, the soil should be covered all of the time, and have no bare soil exposure. By leaving a permanent organic mulch layer over your garden bed, you will be increasing the fertility of your soil, dramatically reducing erosion, preventing weeds from growing, and retaining soil moisture. Mulching does not necessarily require a lot of extra resources. First, you will need to add a weed barrier, such as a layer of cardboard or a thick layer of newspaper. Make sure that your weed barrier does not contain any gaps for weeds to grow through. Next, you would add a layer of organic mulch measuring a depth of about one foot thick. The more diverse the types of materials that you use in your organic mulch layer, and the closer that you can get to achieving a ratio of 30:1 of carbon-rich material to nitrogen-rich material, the more that the ecology of your soil will flourish. Examples of carbon-rich organic materials include: straw (should not contain any seeds), wood chips, sawdust, bark, paper, and dried leaves. Examples of nitrogen-rich organic materials include: grass clippings, composted manure, coffee grounds, compost, and worm castings. Make sure that each layer of mulch has an ample amount of moisture as it is added. 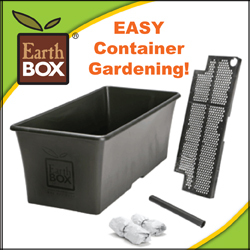 This is very important to the composting process and will help everything to break down and make the awesome compost that is so great for the growth of your plants. Although the best time to mulch is in the fall to allow it to break down over the winter, you can still put mulch over your soil in the spring and produce a lovely garden throughout the current growing season. For planting seeds, simply dig a 3” deep hole in the mulch, fill it with compost or soil, and then plant your seeds in that material. If you are planting transplants, open up a hole in the mulch that is about three times the size of the root mass of the plant, fill the hole with compost or soil, and plant the plant. If the plant that you are planting has deep roots, make holes in the root barrier layer below where you are planting to allow the plant’s roots to have room to grow, and plant as you would any other transplant. One of the advantages of using a no-till gardening approach? Lots of these guys hanging out in your garden to help aerate the soil! Below is a great video of Charles Dowding explaining how he created an amazingly abundant garden from scratch within a single growing season by using a no-dig, no-till approach. Enjoy! Here is a link to more information and another video about Charles' awesome garden! Have you ever tried a no-till approach in your garden? How did it go? Love your post, and I will post on Google+ as well. I've just been introduced to Back to Eden gardening, and I'm totally sold. I'm just not sure how to implement in my tiny, year-round garden, which produces back-to-back food plants. 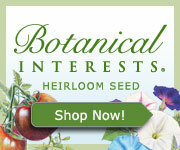 You can see what I'm doing at http://www.latebloomershow.com/. Thanks! Thanks so much for the supportive comment Late Bloomer! I must admit that I'm not as familiar with Back to Eden gardening myself, but I do try to approach gardening and landscaping as ecologically sound as possible. I did check out your site. Looks pretty cool, and that you are doing some great work over there. Keep it up! I believe that all of the garden bloggers (especially those focused on sustainable gardening styles) can make a huge difference in educating people about growing their own food. This is knowledge that many of us have lost, and greatly need right now since we have become so disconnected with the source of our food. Glad you stopped by for a read. Hope you come back again! Tilling also releases carbon into the atmosphere, thus contributing to global warming. Except for the tilling needed to turn the sod under the first time, there is no need to till a again. I totally agree, Sarah. Thanks for the comment. One of the major areas that we can make an impact on global climate change is how we approach agriculture. Moving toward polyculture agricultural systems instead of huge acreage of monocrops, restoring the soil ecology (including responsibly managed livestock grazing) which will store carbon instead of constantly releasing it, and localizing our food prints are all important components of the overall strategy that we need to be working towards for a more sustainable and ecologically responsible future on this planet. It's time for us to make peace with nature in how we live instead of always trying to dominate and control it. Thanks for visiting Day by Day Homesteading, and I hope you come back again soon! I have a TINY house on a TINY 1/2 acre. So I'd like a TINY garden and this sounds like what I need to do! Give it a try! There's so much we can do without majorly disturbing the soil. I wish you the best! We just purchased the land for our homestead and I have been reading about all types of methods for growing. My knowledge has been the typical till-the-earth method, but I am really fascinated by the results of permaculture and no-till. The investment in equipment alone makes the latter more attractive. Hi WhirldWorks Farm! Glad that you have discovered permaculture and no-till. I encourage you to keep exploring them :). There are so many ways that we can approach growing food that reduces work, is more sustainable, works more in harmony with nature, and can be ultimately more productive than traditional agricultural ways. The more ecological ways of gardening also needn't be very expensive, either, since we work at progressively reducing our inputs, which certainly reduces work, materials, and costs over time. Our ancestors didn't have all of the fancy equipment and the chemicals, but they were able to still produce food. Those traditional cultures that produced food in a more ecological fashion, such as the planting of forest gardens, for example, were able to produce food without tillage. We can grow forest gardens in our landscapes today as well :).